And I'm still knackered after that flight. 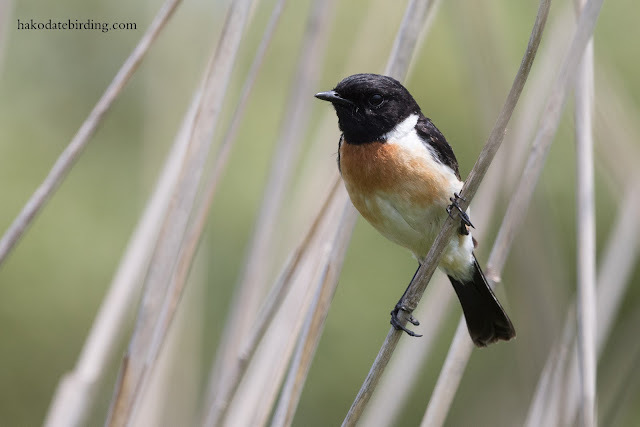 Today we went to Yakumo..............this is the brief window when it is possible to get close to the Siberian Stonechats. The youngsters are somewnere deep in the bushes and the adults keep guard. 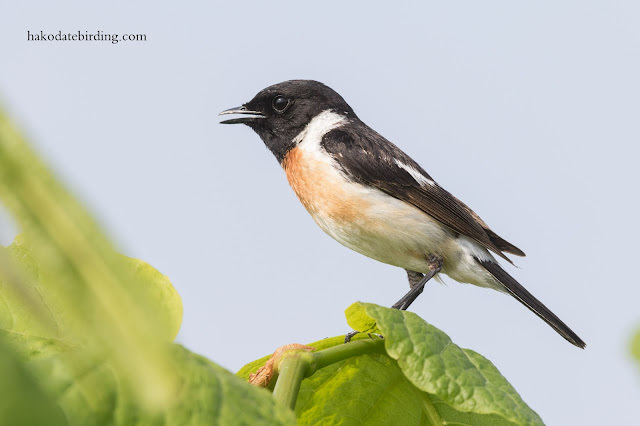 It was only a couple of weeks ago I was watching Stonechats in Northumberland. 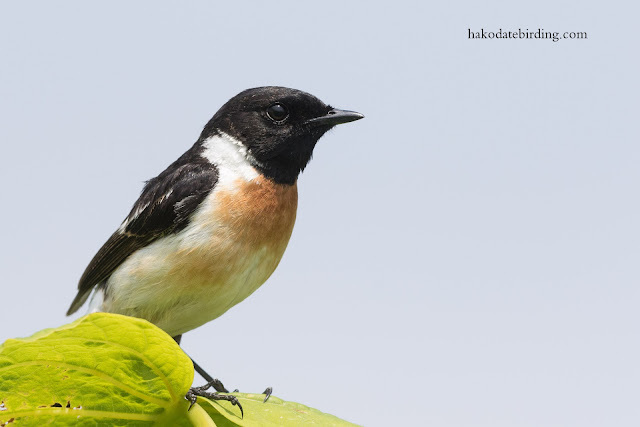 The (relatively recently split) species in Hokkaido is much more numerous than its' equivalent in the UK..............in fact it is probably the commonest summer migrant, certainly in open country. 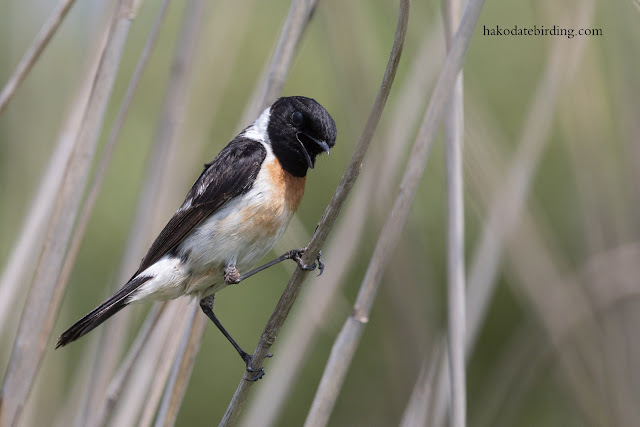 Other regular summer stuff at Yakumo included 3 Ospreys fishing in the rivermouth, lots of Black Browed and Oriental Reed Warblers, Common Cuckoo as well as a few Reed Buntings. I know how you feel about those long flights. A few years ago I flew nonstop from Toronto to Narita and then after a one hour layover on to Bangkok. It takes a while to get adjusted for sure.